Thanks to the progress of technology, the volume of available meteorological data sets has drastically increased: more accurate NWP model outputs, more ensemble forecast systems, more satellite imagery channels and derived products. 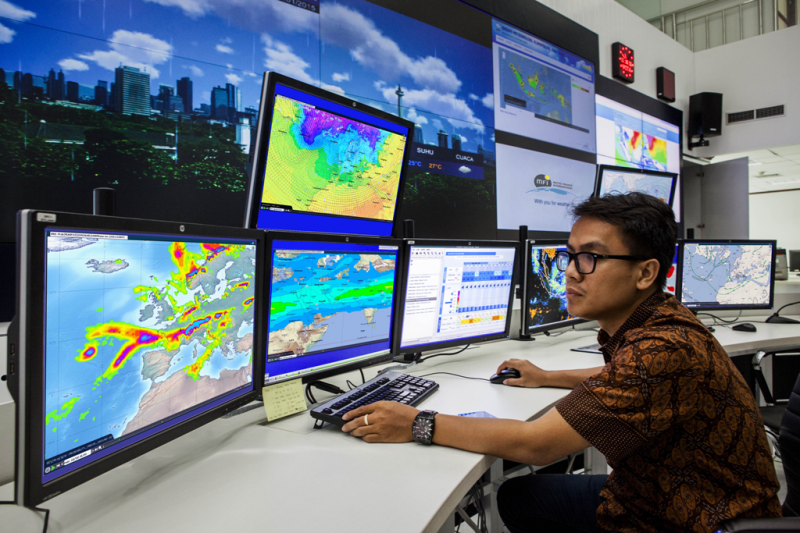 Thanks to its unique data integration and processing capabilities, SYNERGIE-WEB allows National Hydrological Meteorological Services (NHMS) better dealing with this increasing volume of met data. 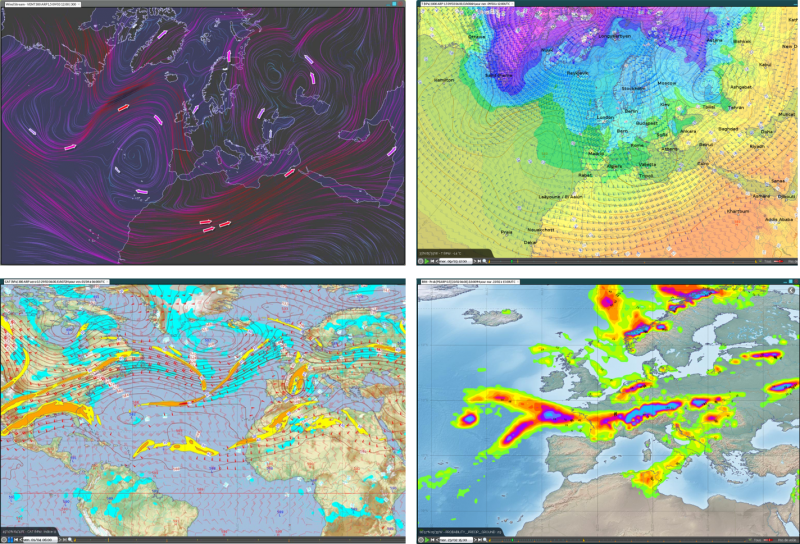 Fully web-based forecasting workstation co-developed with Météo-France, SYNERGIE-WEB is the best fitted decision-making tool for NHMS to understand complex meteorological situations and produce accurate weather forecasts and warnings in a timely manner. 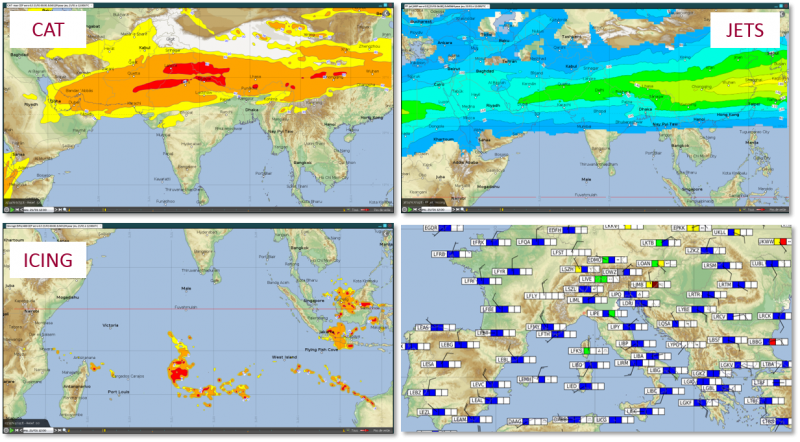 - Display all meteorological data : WMO/ICAO standard formats (TAC/BUFR/XML) / Surface and upper-air data (SYNOP, BUOY/SHIP, TEMP, AMDAR/AIREP, etc.) / Aviation data and charts (METAR, TAF, SIGMET, SIGWX-BUFR/PNG, etc.) / NWP model data (GRIB1/GRIB2, global, mesoscale, marine, dispersion, ensemble forecast, etc.) / Geostationary and polar orbiting satellite imagery and products (METEOSAT, NOAA, METOP, etc.) / Radar imagery and products (OPERA-BUFR, GeoTIFF, etc.) / Lightning data (SFLOC, SAFIR, etc.) / Oceanographic data (BATHY messages, oceanographic models, etc.) / NATO STANAG data formats. •	Process and display outputs of global, mesoscale and ensemble models. •	Vertical and time cross sections. •	Forecast metgrams, vertical profiles, trajectories. •	Model verification and user-defined parameters equations. 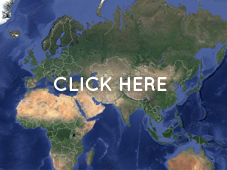 •	Assemble satellite images from different sources. •	Display independent radar data or radar mosaic. •	Customize color palettes, thresholds. •	Objective analysis using observations and model data. •	Isolines editing and reworking. •	Watch points and areas to raise warnings according to observed weather conditions. •	View and export decoded values in tables. •	On-screen chart drawing framework: SIGWX, local area forecast, analysis charts, vertical/time-cross sections, using library of standard pictograms. •	Easy integration with standard office suites (MS Office, OpenOffice, etc. ), for bright briefings or reports. •	Automatic production based on user-defined schedule, data availability, data arrival, alerts, etc. •	Tactical Decision Aids (TDA), for implementing any kind of weather dependent decision rule. •	Collaborative work and workflow management. •	Tropical cyclone track analysis and forecast. •	Value and share meteorological data or layers with various information systems: aviation, transport, border surveillance, etc. 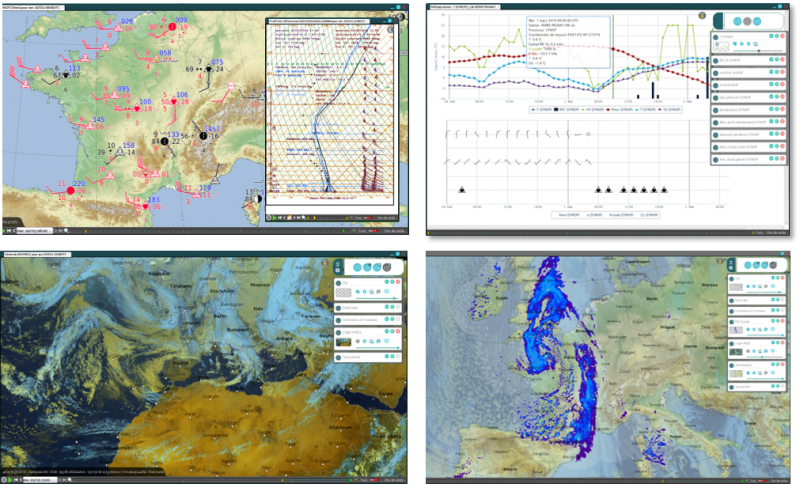 •	Connect to external map servers and get new layers: topography, rail/road, climatology, vegetation, hydrology, oceanographic, meteorology (from other centers), etc. 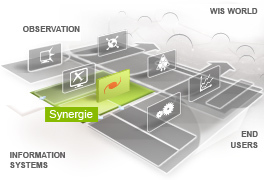 These are SYNERGIE-WEB's key functionalities. The system has many more. For further details, contact us. 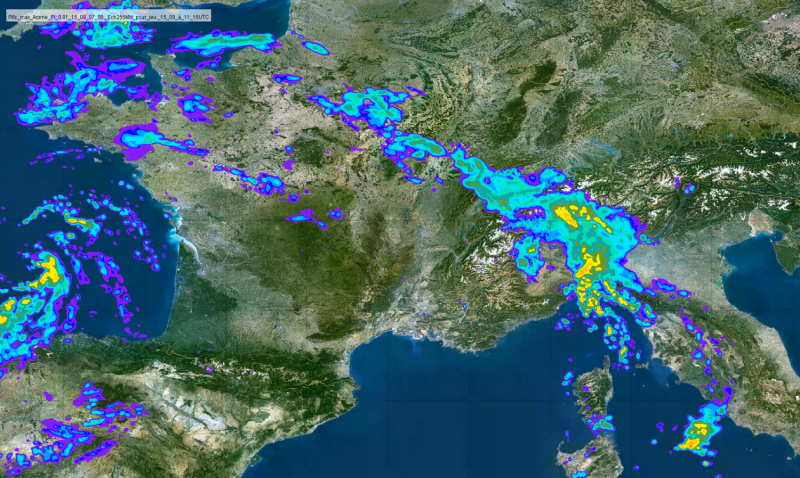 - The only system on the market developed in collaboration with a world leading National Meteorological Service: Météo-France's forecasters use SYNERGIE-WEB daily and provide development teams with constant feedback to allow continuous improvement of the system. - 100% web-based for seamless IT management: No specific software required on visualization client. No IT maintenance / administration at client sites. Low deployment and operating costs. •	General, aviation and marine forecasting. •	Severe weather monitoring from any places (NHMS, home, crisis center, etc.). 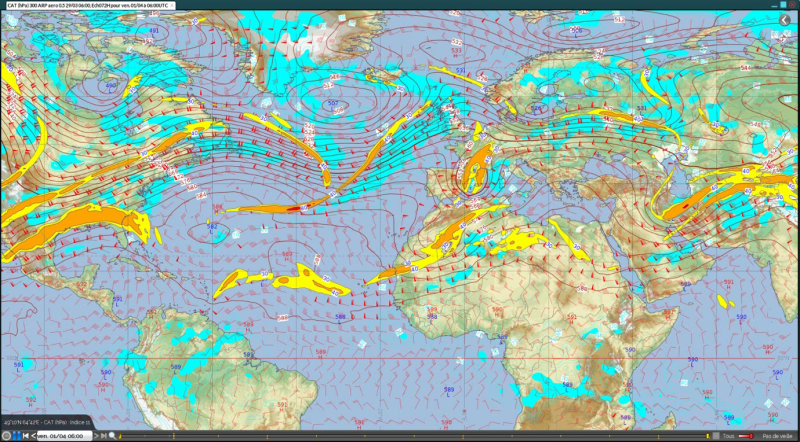 •	Nowcasting and meteorological support for specific events (sports, etc.). •	Weather forecasts for media. •	Military operations and mobile units. •	Weather monitoring for specific weather sensitive operations. •	Dedicated forms for METAR/TAF creation with syntax and coherence quality controls. •	TAF monitoring and verification. •	Wind conditions monitoring along runways and detection of crosswind conditions. •	METAR/TAF/SIGMET color code charts for instant overview of aviation weather conditions. The best way to apprehend SYNERGIE-WEB's uniqueness is to visualize it! Contact us for a demo.